This patient in her 50's underwent a full Face Lift which consists of a Brow Lift, Mid Facelift and Lower Facelift. She also had Fat Transfer to her face. 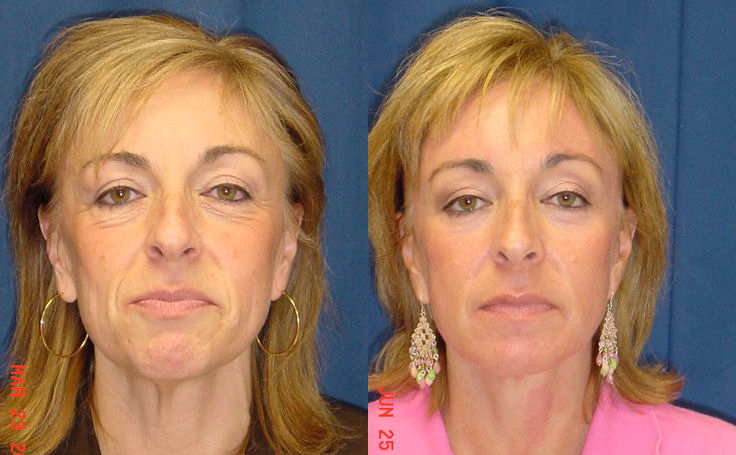 Dr. Ricardo Rodriguez performed a full facelift on this woman in her fifties. 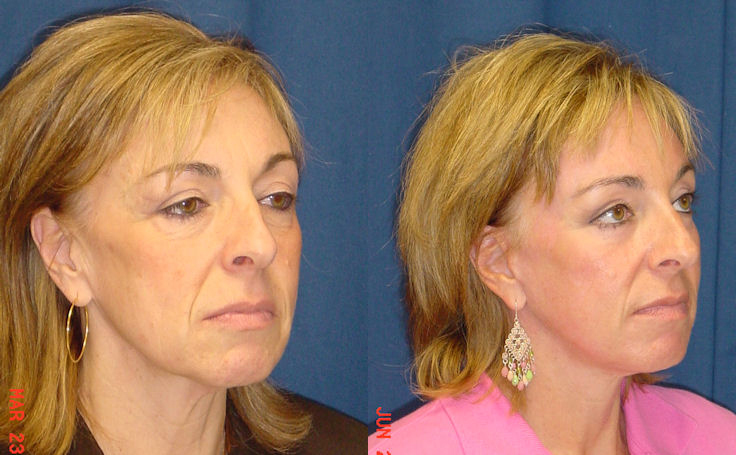 This patient is an example of a more subtle change as a result of the full facelift, which consists of the brow lift, mid facelift, and lower facelift. She appears rejuvenated and healthier, without drastically departing from her former facial appearance. Patients depicted in our Facelift gallery have provided their written consent to display their photos online. Every patient is unique, and surgical results may vary. Please contact us if you have any questions. Is Stem Cell Facelift a new phenomenon? Upper Eye lift or Brow lift?